ActivaPatch® IontoGo® 4.0 Disposable, single-use, non-invasive iontophoretic drug delivery system. IontoGo® 4.0 is a self-powered, extended-wear iontophoresis patch. The flexible and low-profile ActivaPatch® contours to multiple anatomical treatment sites, and a single patch can deliver a 80mAmp*min treatment in approximately 4 hours. 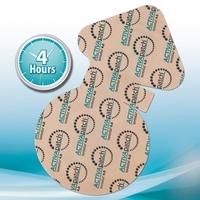 Flexible, low-profile with hypoallergenic adhesive. Features patented SHUNT� power shut down technology. Features our power shut down feature which automatically turns down the ActivaPatch® when the 80 mA minute treatment is complete. 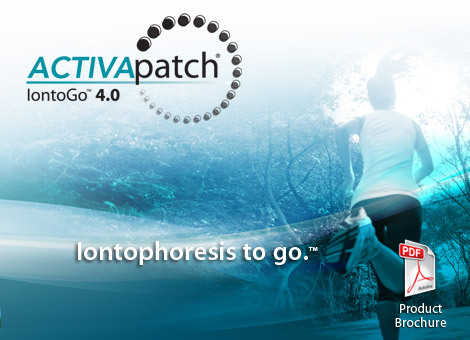 Two ground-breaking iontophoresis studies prove ActivaPatch® products outperform IontoPatch®.